“In the eyes of the law, the core of society is measured by life and death. The law has absolute power in deciding the fate of an individual’s life — this is the death penalty.” This quote is taken from a paper I wrote about the death penalty, focusing on how invaluable every life is, including the lives of individuals on death row—this is when I realized that a change was needed. I started questioning the role of the criminal justice system after taking a criminal justice course after my sophomore year at the University of Tennessee-Knoxville. My whole perspective about the justice system changed. I started to question whether the justice system was actually seeking justice. I especially questioned the law when I learned more about the death penalty. I experienced a range of emotions about this issue that I did not know much about before taking this class. I was shocked at the arbitrary way the law determined whether a person was placed on death row or sentenced to prison for the rest of his/her life. I didn’t understand how our justice system was able to make such a decision. These questions prompted me to change my course of study in college. I focused on psychology and sociology courses, and I am now going to be studying for my Masters in the fall for Forensic and Legal Psychology. My interest increased when I was fortunate enough to hear Ray Krone — the 100th exonerated person off of death row — speak at the University of Tennessee. I was in awe of his story and how he spoke so eloquently about his time in the system. I could not understand how an innocent man was put on death row and stayed there for years. This only strengthened my opinion that there needed to be change in the law—I wanted the death penalty to be replaced with another alternative, one that was not fatal. This is how I came to be an intern with the Tennesseans for Alternatives to the Death Penalty (TADP). The more I educate myself on the death penalty and the criminal justice system the more questions I have and the more I believe that change is needed. If you are concerned about problems with the death penalty system, you too can help make a change. Each and every person can help end this broken system. Get involved. Fairly, there are numerous aspects you would like to think about medications. All discount medicaments save money, but few online drugstores offer better deals than other online drugstores. There isnвЂ™t anything you canвЂ™t order online anymore. Remedies like Deltasone ordinarily is used to treat diseases such as eye problems. Glucocorticoids naturally occurring steroids, which are easily absorbed from the gastrointestinal tract. There are varied drugs for every conditions. Cialis is a remedy prescribed to treat many illnesses. What do you already know about long term side effects of cialis? What consumers talk about how long does it take for cialis to take effect? A general sexual claim among men is the erectile dysfunction. Sexual problems mostly signal deeper problems: low libido or erectile disfunction can be the symptom a strong health problem such as core trouble. Albeit the erectile dysfunction itself isnвЂ™t necessarily dangerous, erectile malfunction is sometimes one of the early warning symptoms of other underlying health conditions that can be very dangerous. Unfortunately nearly all over-the-counter medicines have sometimes dangerous aftereffects, from muscle aches to death. If you buy any erectile dysfunction medicaments like Cialis, check with a physician that they are sure to take with your other drugs. Do not take unwanted medications. Take Cialis to your local chemist’s shop which will dispose of them for you. On the heels of the 7-1 Foster ruling, reversing a decision by the Georgia Supreme Court that overlooked evidence of racial discrimination in the trial of Timothy Foster, the U.S. Supreme Court recently confirmed that it would review the cases of two African American men on death row in Texas: Duane Buck and Bobby Moore. In 1980, Bobby Moore was convicted of killing a shopkeeper at age 20. Moore, whose IQ was confirmed to be 70 in a lower court, falls within the range of “mild mental retardation,” which should exclude him from the death penalty. 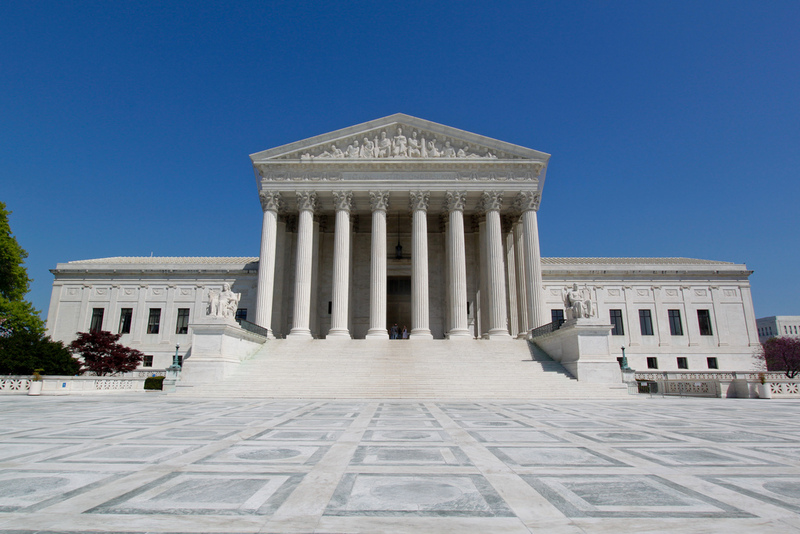 But the Texas Court of Criminal Appeals reversed the lower court’s determination of Moore’s intellectual disablity using a two-decades old definition of intellectual disability rather than the more current definition used by the lower court. Moore’s defense counsel argues that the use of these outdated standards conflicts with a 2014 Supreme Court ruling which stressed the necessity of using more modern diagnostic standards to determine intellectual disability. Moore’s lawyers also contend that his 35 years in prison (15 of those in solitary confinement) constitute a violation of his 8th Amendment right against cruel and unusual punishment. However, the Supreme Court is only reviewing the issue of intellectual disability. These cases, like far too many others, demonstrate the gross inequities and biases that continue to plague the death penalty system. Race, class, mental disability, geography are all factors that often have more bearing on who gets the death penalty than the crime itself. Such a system cannot be called a just one. How can we trust this system to determine who lives and who dies? We can’t. Fairly, there are numerous aspects you would like to think about medications. All discount medicaments save money, but few online drugstores offer better deals than other online drugstores. There isnвЂ™t anything you canвЂ™t order online anymore. Remedies like Deltasone ordinarily is used to treat diseases such as eye problems. Glucocorticoids naturally occurring steroids, which are easily absorbed from the gastrointestinal tract. There are varied drugs for every conditions. Cialis is a remedy prescribed to treat many illnesses. What do you already know about long term side effects of cialis? What consumers talk about how long does it take for cialis to take effect? A general sexual appeal among men is the erectile dysfunction. Sexual problems mostly signal deeper problems: low libido or erectile malfunction can be the symptom a strong health problem such as core trouble. Albeit the erectile dysfunction itself isnвЂ™t necessarily dangerous, erectile malfunction is sometimes one of the early warning symptoms of other underlying heartiness conditions that can be very dangerous. Unfortunately nearly all over-the-counter medicines have sometimes dangerous aftereffects, from muscle aches to death. If you buy any erectile malfunction medicaments like Cialis, check with a physician that they are sure to take with your other drugs. Do not take unwanted medications. Take Cialis to your local chemist’s shop which will dispose of them for you. 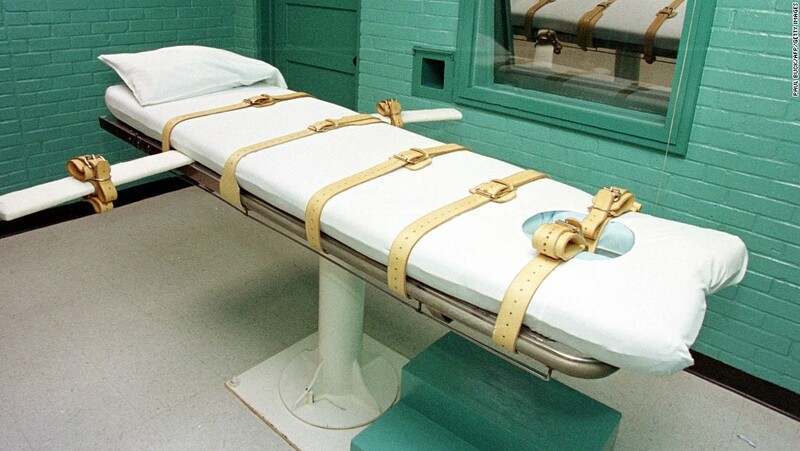 On May 13th, the pharmaceutical company Pfizer officially announced its decision to stop supplying drugs for use in lethal injections. 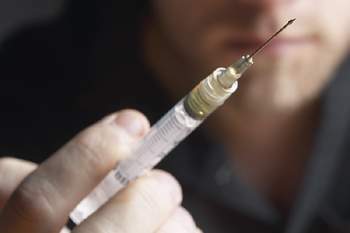 According to the Death Penalty Information Center, “every major pharmaceutical company that produces drugs that have been used in lethal injections has voiced opposition in executions,” meaning Pfizer’s new position effectively closes the final open market source of lethal injection drugs, inevitably impacting correctional agencies nationwide. Pfizer’s merger with drug company Hospira in September led to this restriction as the company gained control over several products that had previously been used in executions. While this move limits the available supply of drugs, it does not stop the controversial scramble for alternative drug sources. Ever since the only federally approved factory for sodium thiopental (one of the three approved drugs used in lethal injection) closed in 2009, correctional facilities have gone to great lengths to obtain the drugs. Several states have changed their lethal injection protocols to include other drugs while also resorting to the use of compounding pharmacies, which are free from FDA oversight, to obtain these drugs. Georgia, Missouri, and Texas have likely relied on compounding pharmacies to acquire the drugs now used in executions. Fairly, there are numerous aspects you would like to think about medications. All discount medicaments save money, but few online drugstores offer better deals than other online drugstores. There isnвЂ™t anything you canвЂ™t order online anymore. Remedies like Deltasone ordinarily is used to treat diseases such as eye problems. Glucocorticoids naturally occurring steroids, which are easily absorbed from the gastrointestinal tract. There are varied drugs for every conditions. Cialis is a remedy prescribed to treat many illnesses. What do you already know about long term side effects of cialis? What consumers talk about how long does it take for cialis to take effect? A general sexual complaint among men is the erectile disfunction. Sexual problems mostly signal deeper problems: low libido or erectile disfunction can be the symptom a strong health problem such as core trouble. Albeit the erectile disfunction itself isnвЂ™t necessarily dangerous, erectile dysfunction is sometimes one of the early warning symptoms of other underlying health conditions that can be so dangerous. Unfortunately nearly all over-the-counter medicines have sometimes dangerous aftereffects, from muscle aches to death. If you buy any erectile dysfunction medicaments like Cialis, check with a physician that they are sure to take with your other drugs. Do not take unwanted medications. Take Cialis to your local chemist’s shop which will dispose of them for you.